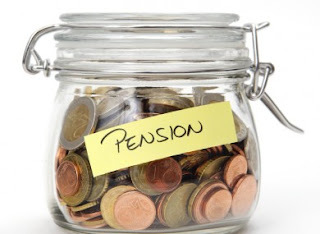 It's now the time of the year to start thinking about funding savings and pensions. And all the more this year as starting next year, high earners will see their tax benefits on pensions seriously curtailed. There are no changes this year in VCTs, EIS and SEIS funds so there is no need to talk about those. Please refer to our previous articles on the subject. So what changes to expect this year? Each of us is entitled to pay up to £15,240 prior to 5th April 2016 into our ISA. And for the 17/18 tax year the limit will increase to £20,000. Before July 1, 2014, you could only invest half your annual ISA allowance into cash. However, following changes to ISA rules, you can invest the full £15,240 allowance into a cash ISA. This is an interest-bearing account that carries no risk, although as interest rates are so low, your returns may be eroded by inflation. Also note that you can invest some of your allowance in Innovative Finance ISA, such as P2P funds. Don't forget that your kids have an allowance as well. The Junior ISA allowance for 16/17 is £4,080. It's available to those aged over 18 and under 40. Maximum contribution to which the government will add 25% bonus is £4,000 each tax year. For example a £4,000 contribution will become worth £5,000. The government bonus will be paid up to age 50. Funds, including the government bonus, can be used to buy a first property worth up to £450,000 at any time 12 months after opening the account. Monies can be withdrawn for any other purpose at any time- however should they be withdrawn before age 60 then the bonus element will be lost, interest growth forfeited, and a 5% charge applied. If you (or your children, or your grand-children) intend to purchase a home, this is a vehicle well worth considering! You all know by now about the tax problem faced by those with net adjusted income between £100,000 and £122,000: they lose £1 of Personal Allowance for every £2 of earnings over £100,000, meaning than earnings in that band are actually taxed at a marginal rate of 60%!! But it does not have to be. The net adjusted income can be reduced by simply contributing to your pension fund. Tax savings will be very significant in that scenario since you will recover the full 60% of tax you pay in that band. If you haven't used your pension allowances in the previous tax years, now is the time to do it. Especially for high earners as the generous tax breaks available in the past are going away if you earn more than £150,000. Indeed the £40,000 allowance that you can pay into your pension every year is now being tapered, decreasing £1 for every £2 of income for taxpayers earning between £150,000 and £210,000. Which means that anyone with income above £210,000 will only be able to contribute £10,000 per year into their pension starting with tax year 16/17. That being said, it's still possible to ‘Carry Forward’ unused pension allowances from the previous 3 tax years on top of the current tax year (assuming you had a pension plan opened during those years). The scope for gaining tax relief here is substantial. An individual who has not contributed into their pension in the previous 3 tax years might be able to make up to £170,000 in pension contribution, and provided earnings are high enough get up to £74,500 in tax relief.